It looks like Nokia is ready to launch the Android phones in India soon. According to the sources, fans in India can get the devices very soon. According to the information HMD global might launch Nokia phones in first week of June in India. We are not having information that how many phone will launch in June. 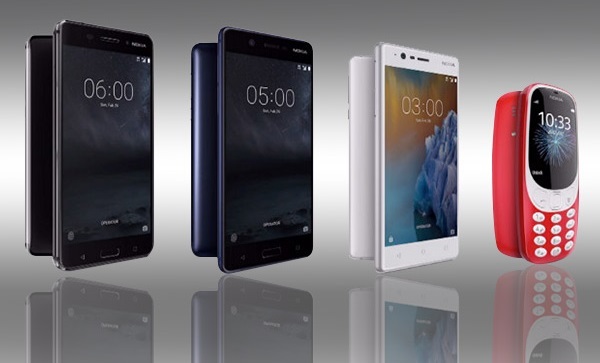 Nokia 3, Nokia 5 and Nokia 6 might launch in June. Nokia will take decision on launch of these phone in the end of May. After discussion Nokia might launch all phones or few phones in Market. If we talk about pricing than expected price of Nokia 6 is 17000, Nokia 5 is 14000 and Nokia 3 is 10000 in India. We can not properly comment on pricing as pricing of most of the phones goes high in India compare to global market. As we talk about Nokia than few years back Nokia rights were sold to Microsoft. Nokia was biggest brand in smartphone world but after few decisions Nokia disappeared from market. Later Nokia tried to get back with Windows OS but impression was not so powerful. For the first time Google approached Nokia to launch a phone with Android OS, which was initially developed, but Nokia denied to launch a phone with Android OS. Later HTC became first company to launch phone with Android in market. Slowly most of the companies got tie up with Google to provide Android phones. Nokia’s Symbian OS was not so powerful to fight with Android OS. Now Nokia is back with Android only. They know that developing a new operating system is tough, also making it famous is also next to impossible. Hence Nokia is back with Android only. As Google approached Nokia to launch first Android phone and Nokia denied, so this was biggest mistake of Nokia. Now they have accepted the mistake and coming with Android OS phone.